So cute for your little one to wear to the zoo! 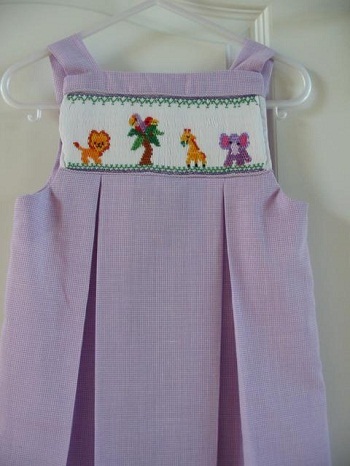 This dress is a smocked aline dress with zoo animals on it. I can do this dress in any color.